Matt Fitzpatrick followed up his impressive performance at the Arnold Palmer Invitational with a steady show at The Players Championship. The Sheffield golfer finished in a tie for 41st at Sawgrass, with the ‘unofficial fifth Major’ won by Northern Ireland’s Rory McIlroy. Though not in contention after the opening round, Fitzpatrick produced a steady and consistent performance across the four days to finish on four under par. His Sunday was an up-and-down affair with six birdies but five bogeys, including on 16 and the last, hampered his chances of climbing the leaderboard. 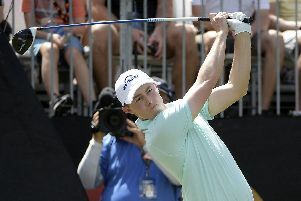 It continued his good form in the Florida swing of the PGA Tour. Fellow Sheffield golfer Danny Willett missed Friday's cut, having finished four over par.